Thought I would share one of my twitter posts…. 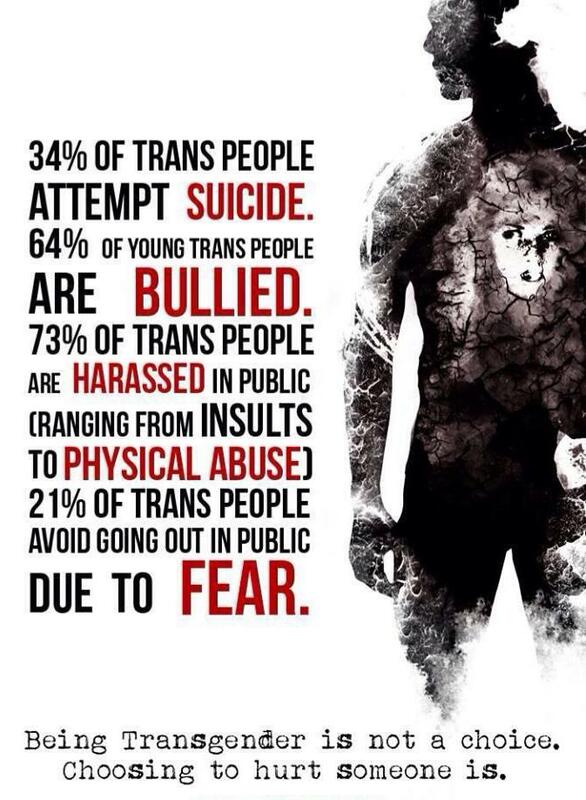 I get people all of the time hating on me just because I am transgender. They make fun of me and belittle me as a woman. They call me “He” or “Him”, instead of “She” or “Her”. They even go as far as to say “Chris”, instead of “Christa”, even though my name is Christa. I am a strong, proud, transgender woman that lives her life to be happy. I am not living my life in the image of what others feel I should be. I am living my life to the fullest, as I feel I should. 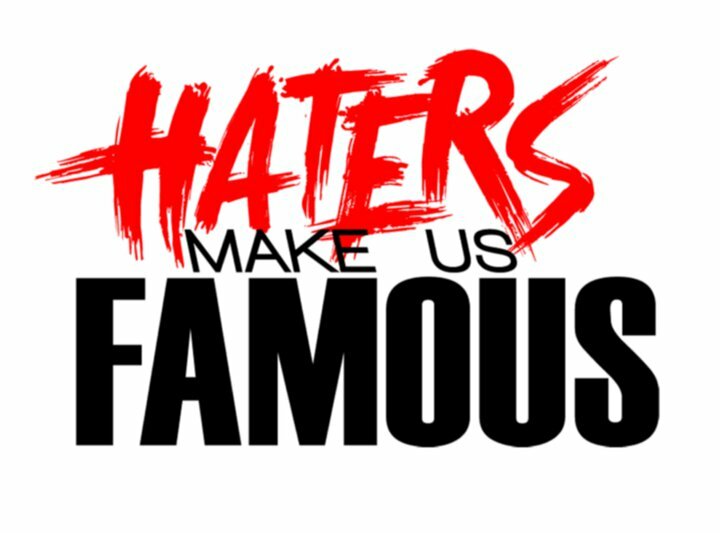 If you are hating on me and slandering me, don’t be upset if I do not acknowledge you as I walk by, happy and successful in everything that I do. If you support me and love me, you will have a friend forever. 1) What happened on Facebook. Please Read all Text before watching video. Judging any threat, in any form, is a skill of the shinobi. Being able to read your opponent and understand the way that they think and act is crucial in the mastery of ninjutsu. This goes along the same traditional teachings of the Sanshin (3 martial hearts). The three martial hearts are: Mind, Body & Spirit. Understand your opponent in all phases: Mentally, Physically and Emotionally. From this understanding you can then develop a proper form of action, in any situation. In the video below Mr. Chafin gives a great lesson in understanding the thought process of cyber bullies, online trolls and haters. Although we all in the martial arts have to face the fact that someone sometime is going to talk about us. As teachers, we have to take these situations and use them as lessons for our students. Mr. Chafin used to be a professional troll, yes it is true. He was paid to falsely advertise and tear down major business and was part of a internet world that many of us have only heard of. After many years of this, he felt that he wanted to find something of worth in his life and he found myself and the Budo Ryu. From here he has now found balance in his life and is using his knowledge of hate and cyber crime; a life that he was accustom too; To help educate students of the martial arts and others on how they can identify and understand this type of irrational and malicious behavior. This is just a short introduction video; but I think it is a great lesson for all students of the Budo Ryu. Especially since 80% of the Budo Ryu trains in some form of digital media online. Anshu Christa Jacobson — Reality Video (#0008) “I’m a Blonde! + Haters & Trolls! + My Birthday! This is a reality video that was shot for the official fan website of Anshu Christa Jacobson. I hope that you enjoy the video! I have never responded to a forum attack or a youtube / video attack in anyway, I let them talk and I simply go about my business promoting good ethics and morals to my students. I have nothing to defend, the Budo Ryu is a school of traditional martial arts that trains and teaches 7 warrior traditions. I have to hold a position that reflects the dignity of the school. If I am going to tell my students that you should not fight unless you have to, that if the bully is talking than just walk the other way. If I am going to say this to my students, than that is the action that I will reflect from the school too. Fighting is always the last answer, only fight if you have too, and these kids are talking to a computer, they are not here on the mats, they are talking to a webcam all over the world. I spend my time training, teaching and dedicating myself to the study of the arts. That is all. None of this online hate and slander has anything to do with being a good person or helping myself, my family, my friends, the school or my students in anyway at all. I hope that you all enjoy the video and understand why I do not take part, the Budo Ryu is a professional school of marital arts and will conduct itself as such. 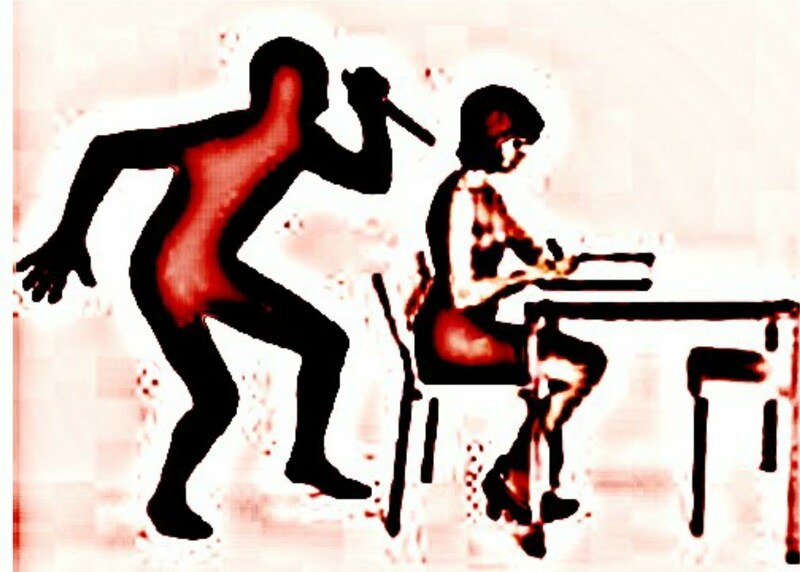 Anshu Christa Jacobson – Stabbed in the Back! What do you do when you know that it is coming? You know that you are helping someone, because they need help and they asked you to help them, yet once they get the help, they are going to drop you and give you NO CREDIT AT ALL — NO RESPECT — NO HONOR. Do you keep helping them? if so Why? BECAUSE EVEN THOUGH IT MIGHT NOT HELP YOU. HELPING OTHERS IS THE RIGHT THING TO DO. But as I write this there are 4 people that I am helping that I have found out from different sources are telling me one things and are going to be doing another. Even though I know that I am doing A LOT OF WORK for these 4 individuals & I know from very close sources once they get what they want from me, they are going to leave and not give me or my school any credit. I am still going to help them anyway,…and this is why. #1 – Because I said I would, my word is my honor. Even to those that I ask for help, I always do what I say I will in the end. This is the only way to keep your honor. #2 – Because my students, friends and fans will know that I am doing the right thing, and in the end, this is the correct thing to do. #3 – When they show their real meaning — when they show what they are really worth — everyone will know that I knew that this was going to happen, and I chose this path anyway. Because I can sleep at night knowing that I did the best I could to helping someone become better and stronger,I cant sleep at night knowing that I am not doing the correct thing. There are those that are just about themselves and then there are those that are about helping others. All I care about is helping people learn these arts and spread the correct teachings of Authentic Ninjutsu. In the end, the ones that do not help anyone and just talk hate and are so fixed on personal gain they will be a forgotten shadow in history. No one wants to go to their grave forgotten. Help anyone you can, and let them choose their destiny. I wish you all the best my friends. 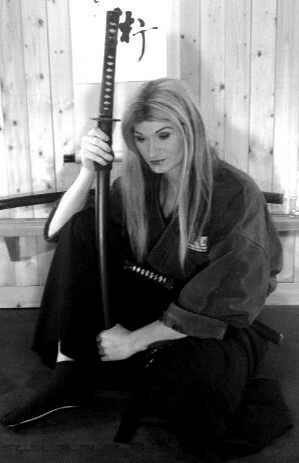 Headmistress of the Budo Ryu School of War. 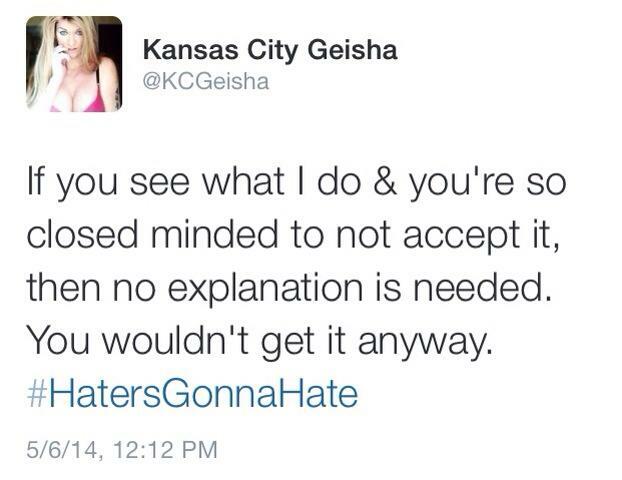 Thank you to all of my haters out there! Nothing like people who like talk a lot of trash and then send them to a professional website that offers high quality instruction, HD videos & downloads that is dedicated to the teachings of Authentic Historical Ninjutsu & Samurai Bujutsu! In case they did not know, they are helping way more than hurting! The Budo Ryu Ninjutsu Dojo has been around a lot longer than most of these hating people that have nothing better to do than the slander others online. So because the internet is all about “keywords” and “tags” to create people to “click on your site”. They use my name and my schools name to get people to click on their site so that they can sell whatever MMA / Martial Arts products that they are selling! Hope you are all well! Remember today could be the best day ever if you let it! Take Care, Be Safe & Good Luck in your Journey of Budo!